02/09/2012 - The eighth driver to put his name on the hall of fame of Formula 3 2012 season is Kevin Giovesi who won race two at Imola after a sprint start and a race led in the best possible way. The Milanese driving for team Ghinzani started from the second place and took the poleman Riccardo Agostini, JD Motorsport’s driver from Padova that yesterday was disqualified due to a technical detail on his car not being homologated. 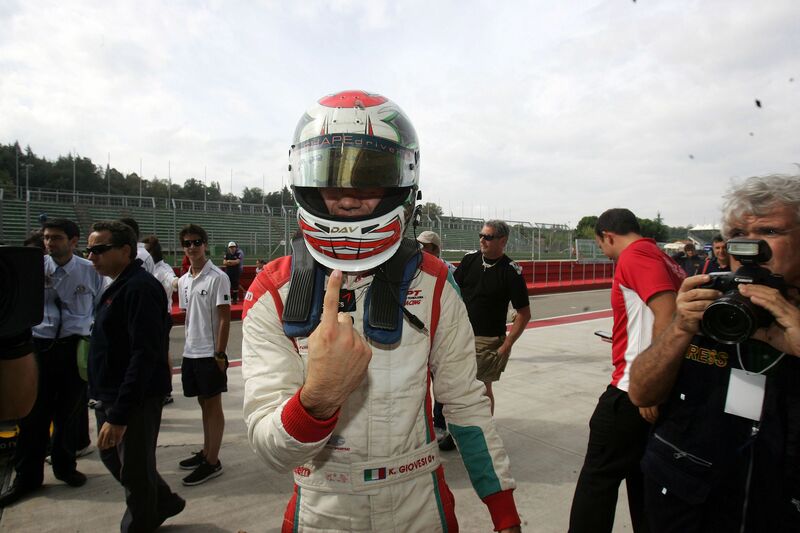 Agostini, with Mygale of team JD Motorsport ended second setting the fastest lap of the race that, together with the pole position, gave him 2 more points. Third was Brandon Maisano who was followed by team mates Eddie Cheever and Henrique Martins. Today the French pupil of Ferrari Driver Academy and the American did not risk anything after the incident that ruined their race one yesterday. Sixth was the Canadian Nicholas Latifi, on the second Mygale of JD Motorsport, who proceeded Euronova’s Sergey Sirotkin. The last two drivers at the finish line were Mario Marasca, struggling this weekend on the Dallara belonging to team BVM and Yoshitaka Kuroda driving for team Euronova. Mechanical problems for the two drivers that will occupy the first row of the sprint race instead. Roman De Beer on the Mygale of team Victoria World broke the exaust mid way through, while race 3 poleman Kuba Dalewski, very young Polish at the debut with team Ghinzani, started from the pits after a problem to the axle shaft but during lap five he finished his race in the gravel trap. The start of race 3 will be this afternoon at 18.00 (GMT+2) live on web streaming at www.acisportitalia.it/ABARTH and recorded at 18.55 on Rai Sport 2.